It was the first question I and many others asked when we first heard about Tony Hawk HD: Okay, but what about the soundtrack? Yes, we're all happy to hear that the game feels both sharp and smooth, and that they're putting a lot of work into making the game play well. But what about the music? What about the tunes, man? Pulling sweet grinds and tricks is all well and good, but it's no fun at all if we can't have the right soundtrack! Sound and Vision has posted a lengthy interview with the folks behind the game in which they reveal the soundtrack, and go on for four pages about how much thought they put into it. Four pages! Clearly these folks understand how important a Tony Hawk soundtrack is. 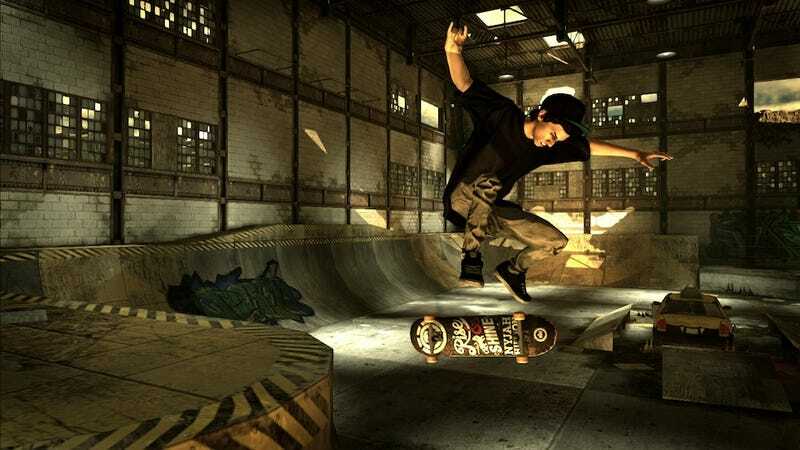 And it shows, because the game will come with a great selection of classic Tony Hawk tracks (hello Goldfinger!) and updated stuff that I've never heard. The tracklist follows, and you can listen to all the songs in the gallery above.